Welcome to a double edition of the Weekly Update. Following last weeks “incident”, where my cat Jeff somehow contrived to destroy my modem, this week we are covering two weeks worth of VAAC reports, so without too much preamble we will plow ahead. A slight change to how I have chosen to display the images this week, a few people have mentioned that they have some problems with my post “jumping” when clicking comments or when the page is loading. So to combat this, I have not posted the direct Twitter or Facebook links wherever possible (video links are the exception) and if you click the image, it will take you to the original source for the image in another tab. We start as ever with the quiet zones, London, Toulouse, Anchorage, Montreal and Wellington all have no reports in their respective VAAC areas of operation. Starting at the beginning of the month, we had “discreet” or “low-level emissions”, and then on the 5th of April we started to get the larger events with multiple plumes reported and for the rest of the period we have had almost daily plumes of around 20000 feet. The first week of the month appears to have been a fairly quiet affair on Fuego, with INSIVUMEH reporting light ash emissions on the 2nd, followed by an explosion and a thicker plume to 14000. There are no reports for the follwing days until the 8th when we return to daily plumes up to 14000-19000 feet. On the 13th INSIVUMEH reported a mainly effusive eruption with ash plumes to a similar height as previous days and a “brilliant hotspot observed” on the 14th, with the activity continuing from the previous day. El Popo has had a busier couple of weeks since the last report with a number of plumes and exhalations throughout the period. These plumes range from around 20000 up to 28500 feet, with 3 over 20000 feet reported on the 9th of April. 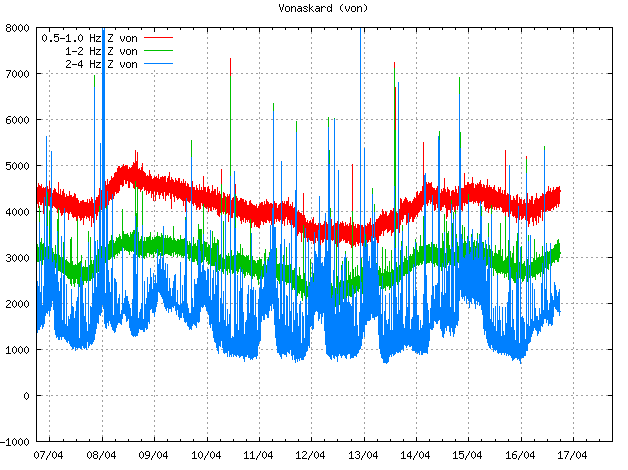 A brief eruption was reported on the 4th of April with ash sent up to around the 14000 feet mark, and then we have a couple of reports of ash to 20000 and 22000 feet on the 5th and 12th of April respectively, but the VAA’s are unclear as to where these reports have come from, but I *think* that these were MWO reports. the final report of the week showed ash reported at 18000 feet on the 13th of April. The local MWO office reported ash to 22000 feet on the 2nd of April, satellite data suggested this ash was actually around 19000 feet. Further plumes were reported on the 4th and 6th reaching 25000 and 20000 feet respectively and a hotspot was reported on the IR cameras on the 3rd. A busier period of reports from Santiaguito. Starting on the 2nd, we have 2 plumes reported at 24000 feet and 15000 feet and a similar level of activity the following day with plumes reaching 21000 and 16000 feet. No further reports until the 9th when we have an “exhalation” to 15000 and further events on the 11th and 13th reaching 14000 to 19000 feet. I wont do into great detail with Dukono, needless to say the previous pattern of a constant plume to around 7000 feet continued for the entire period with a slight change on the 8th of April, when it raised a plume to 9000 feet before it dropped back to it’s normal level. Kerinci has had a number of reported events over the last few weeks. Starting on the 2nd of April, a plume was reported at 16000 feet. A similar level of activity was reported on the 4th, 5th and 10th with ash reported around the 13000 to 15000 feet mark. A new volcano enters our report this week in the form of Langlia in Papua New Guinea. The GVP describes Langlia as “a group of four small overlapping composite basaltic-andesitic cones on the lower eastern flank of the extinct Talawe volcano.” and it reaches 4362 feet in height. We have reports of ash to around 7000 feet on the 2nd and 3rd of April, with activity increasing to 10000 feet on the 5th ad 6th of April before going quiet again. A fortnight of steady activity for Sinabung with ash plumes reported almost every day over the past two weeks. These plumes are all similar in height at around 13000-16000 feet. A steady period of events from Bromo in the Tengger Caldera. Daily reports from the volcano of ash at around 10000 feet mark, with a couple of days where the plumes reached slightly higher at around 12000 to 13000 feet. Only 2 reports from Alaid. On the 9th of April, ash was reported to 10000 feet and on the 15th, it was reported at 14000 feet. Satellite images show the plume underneath light cloud cover. Klyuchevskoy made a late entry into the report with en eruption to 18000 feet on the 14th of April. An extremely busy period for Sakurajima saw daily reports and on more than one occasion, there were multiple reports for a day. Starting on the 2nd of April, Sakurajima set the scene for the following 2 weeks, with at least 3 separate events between 10000-13000 feet reported. This pattern contiued for the next 2 days with 2 eruptions to 10000 feet on the 3rd and 3 more on the 4th, the highest reaching 14000 feet. a quieter couple of days on the 5th and 6th saw plumes to 15000 feet on the 6th. This larger plume then set the next couple of days activity with larger plumes around the 10000 – 18000 feet mark reported up to the 10th before a lessening of the activity to below the 10000 feet mark. I am not going to dwell too long on Sheveluch because the reports are sketchy at best. The VAA’s report a “possible” eruption on the 2nd and the 8th with the height possibly at 13000 – 18000 feet, but no confirmation or corroboration of these reports. Suwanosejima continues its trend of explosive activity with a number of explosions reported over the period. Our final report is a bit of a damp squib I am afraid. A pilot reported ash at 21000 feet, but the scientists dismissed the report based on satellite and webcam imaging. And another report was dismissed in similar circumstances on the 11th. This concludes the past couple of weeks reports. I would like to hear your comments on how the page performs with the Twitter and Facebook links. Users might have had a problem reaching the site over the last couple of days, this was due to a technical glitch on our host servers and was completely outwith our control. I would add a negative report: the lava lake in Nyamuragira volcano (DR Congo) has gone, after 2 years. The Hobbes report of course focuses on explosive events (ones which affect airplanes) so this would not have made it, but interesting nonetheless. African volcanoes perhaps aren’t very good at exploding? It happens more often the further south you come along the superplume. And the west-african volcanoes are actually quite good at exploding at the end of their lifetime. Just read http://www.nature.com/news/north-korea-lets-scientists-peer-inside-dangerous-volcano-1.19751 which was interesting, and reminded me of this https://volcanocafe.wordpress.com/2013/07/02/the-volcano-that-was-not/comment-page-1/ and interestingly clears up one of the issues – “Chinese and North Korean scientists monitor Paektu using their own seismic networks as well as gas samples collected from hot springs” and reveals this: http://link.springer.com/article/10.1007%2Fs00445-013-0706-5 interesting looking paper. My hat’s off to you, Hobbes, for another excellent post. On another note, there was an explosion at Cleveland at 11 AKDT this morning (AVO). No satellite images available and no PIREPs. No, a VERY good post on the Japan Earthquake. To be fair, the majority of that energy is absorbed by the crust, and spread out over the course of a 1-2 minutes. Also, earthquakes don’t tend to vaporize people, which is probably beneficial, not that they should be discounted. Magnitude 7.8 earthquake in Ecuador. Pretty shallow. And in a river delta. 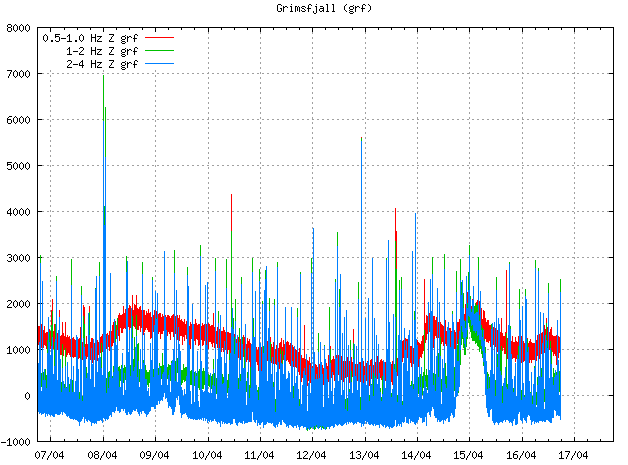 This is going to be bad…..
About 585.4 %g acceleration near the epicenter. For some reason, I think this is not good…. Wonder what that is? According to USGS, Fukuoka didn’t get much of a shaking, PGA about 7% g which you surely notice but it’s not likely to cause infrastructure or building damage, nor liquefaction. Very annoying that article doesn’t go the extra step to find out – someone in that town will know what’s going on. I’m surprised at the number of heavy tile roofs in Kumamoto houses. It’s a very bad idea in active seismic zones. I found out first hand about the myth of “permanent materials” in EQs. Brick and tile isn’t “permanent”. Typhoons, the houses are designed to withstand high winds. Kumamoto is (or was) not an active earthquake zone. Going back to historical records, I could find nothing comparable since 1900. All the major earthquakes are on the eastern side of Kyushu, and off shore. That is not particularly close. But it seems the eastern side is overdue for a large quake. The quakes here (M7.5+) tend to come in pairs of fairly equal strength, separated by up to a few years. There was such a set around 1938, and 1968-1970. The same tendency holds further north, at the southern edge of Shikoku where there was a triple (M8) in 1944-1948. There was a smaller pair (M7.0) in 2004 out at sea, otherwise rather quiet until you get to Kobe. It’s near the junction of the Amur and Yangtze Plates. And there are a few active volcanoes in the area: Aso, Unzen etc.. It is stressful area. There is rifting just south Kyushu, and the entire island is rotating anti-clockwise (see Henrik’s post on Aso in the NDVP series). But the main quakes are from the subduction zone from the Philippine plate which is on the other side of the island. The western side where this quake happened has pretty dangerous volcanoes (Unzen was one the great volcano tragedies) but less of an earthquake record. Not everywhere in Japan is the same. There is also back arc volcanism in the area. Unzen’s magmas are basaltic to andesitic so possibly more than one influence on her lavas. There was a small-scale eruption at Aso immediately following the quake(s) according to several sources. Due to it’s recent eruptive history, JMA is not committing either way whether the quakes and Aso’s eruption were related. Current alert level remains at 2. Aso erupts frequently so probably difficult to determine. But the earthquakes may be an indicator of more activity in the future? It appears that the aesthetic virtues of traditional Japanese structures praised by Western architects are the very features that undermine their structural integrity and make them vulnerable in earthquakes: delicate post and lintel construction, flexible plans and indoor-outdoor permeability created by screens and shutters. Many suffered major cracks in exterior walls and appeared out of plumb. All had some form of damage to their roofs. The heavy tile roof in which tiles are bedded in two or three inches of loose sand is designed to mitigate against fires and hurricanes. But it rests upon a structure which cannot resist the lateral forces such a weight generates. Further, if the roof is asymmetrical it often has little lateral integrity to work as a diaphragm in distributing forces. The heavy roof rests on a structure which may itself be “light”, composed of 3 5/12 inch posts at 3 ½ or 6 or 9 or 12 foot intervals with mortise and tenon joinery secured by wedges and/or toe-nailing. While many joints held others did not have the strength either to resist, or the ductility to transmit, lateral forces. They either disassembled or shattered. The wooden post and lintel system, the “moment frame” of these structures, is not assisted by any shear walls and diagonal bracing is rarely present. When diagonal braces occur they are usually found at the corners of a building, attaching the corner posts to the floor plate. Commonly walls are constructed of a lath to which is applied a light armature of tied bamboo over which a fine mud plaster is applied. This kind of wall, while it looks beautiful, can develop no shear. The very few walls are useless in earthquakes. And that is the reason to not watch TV. Colima was not affected by that earthquake. To small and to far away. I think it was “Breakfast of Champions” or maybe “Cat’s Cradle” where KVJr wrote (and paraphrasing here), “Just because you aim at nothing doesn’t mean you’ll hit nothing” just when the protagonist accidentally killed a pregnant mother of two by recklessly firing his rifle. @Hobbes ref: Jeff the artillery cat. You might want to scour the area for the cat’s forward observer. If he’s using indirect fire, he’s got to have a spotter somewhere nearby. Good shout, I discover a nearby hamster in an elevated position! Which reminds me of gaming in BF1942 with the DC mod. At the match start, while everyone is scrambling for armor, I would snag the SCUD transporter erector launcher and haul arse towards the less traveled portions of the map. My cohort, “TheGit” would locate a vantage point somewhere near the enemy main base by the time I got the TELAR into a relatively secure area. Once you got the knack of dialing in the FO spotting, that thing was quite lethal. The downside is that once you got a pretty decent shot off, the enemy would be scouring your area to try and neutralize you. If you had enough cooperative players, someone would bring AAW equipment to remove the aircraft from their search, or give them something else to worry about. The other side got an MLRS vehicle that had much better maneuverability than the city bus like TELAR. Once you and your cohort had the spotting and aiming down, it was usually pretty hard to loose a match. Generally, I preferred to tool around in the Hind. Apologies to TG McCoy for the odd flight dynamics. After all, it was just a game. Most of this was shot from the gunners vantage point. I occasionally gave them vertigo. Technically, when I put the gunners view under the map terrain, there should have been a crash. Flying that low is a bit unrealistic. Ouch, glad you survived! I assume the bighorns weren’t in the DC7. According to Washington VAAC, ash emission is forecast to continue for another 6 hrs..
How are they able to predict that? I think that their forecast is how long the ash will be present should the eruption stop immediately. Spare a thought for Jeff, he didn’t really mean any harm now, did he? He can’t help it if he’s a bit boistrous, can he? “For I will consider my Cat Jeoffry. “For he will not do destruction if he is well-fed, neither will he spit without provocation. The cat issue just shows how many things can go wrong and hamper our duly publications of articles. It is almost a miracle that we have something like 95% hit rate of publishing when we are supposed to do it. After all, it just takes a single chip of a single computer to die, or an internet connection going down for some un-foreseen reason and we are flailing. Quite often this results in a speedily written article by someone else, or publishing of an article that we have in store for later use and that is a rare thing for us to have. We pretty much publish everything we write. We simply just do not have a large store of surplus articles. I hope my light-hearted post wasn’t open to being misunderstood. This poem is much-loved in English lit, and the cat’s name is pronounced “Jeffrey”. Christopher Smart was afflicted with mental illness, in which the cat provided some consolation, and this poem was set to music by Benjamin Britten. I’ve already expressed appreciation elsewhere for Hobbes’s hard work.